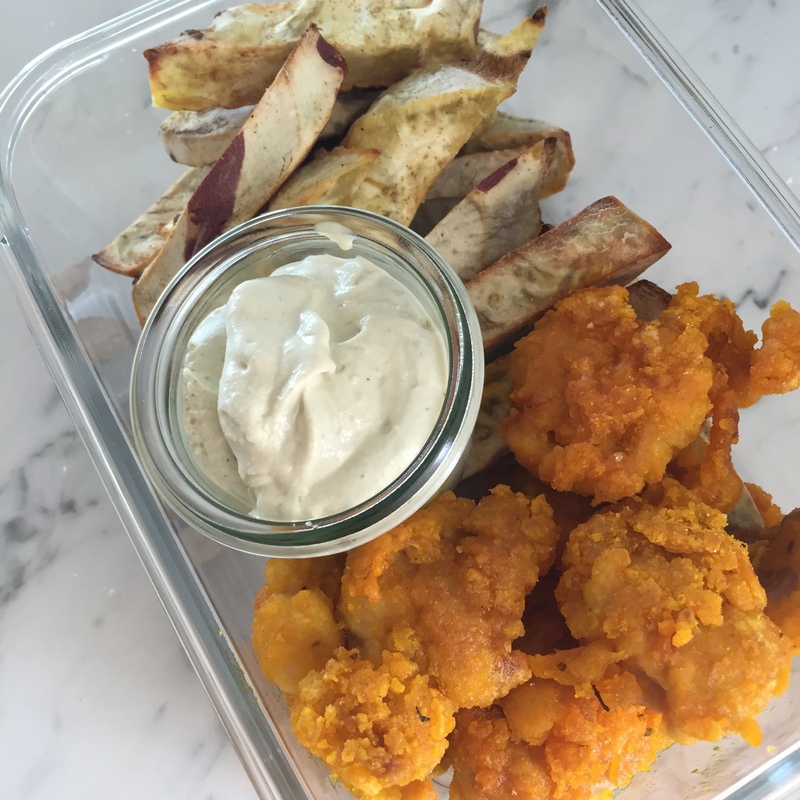 Add some sweet potato fries and you’ve got a very-kid friendly recipe! Chop chicken into 2 bite-sized pieces. In a bowl, whisk egg and add chicken to coat. In another bowl, add starch and spices and mix well. Add chicken to the starch mix and toss to coat. In a heavy bottom skillet, add 1/2 c. oil over high heat. Setting aside olive oil and parsley, add all ingredients to your blender and blend until smooth (add a little more water if it’s not blending well). As the blender runs, add in the olive oil. Add parsley last. Oh I am loving the sound of the ranch dressing, one to try thanks for sharing.